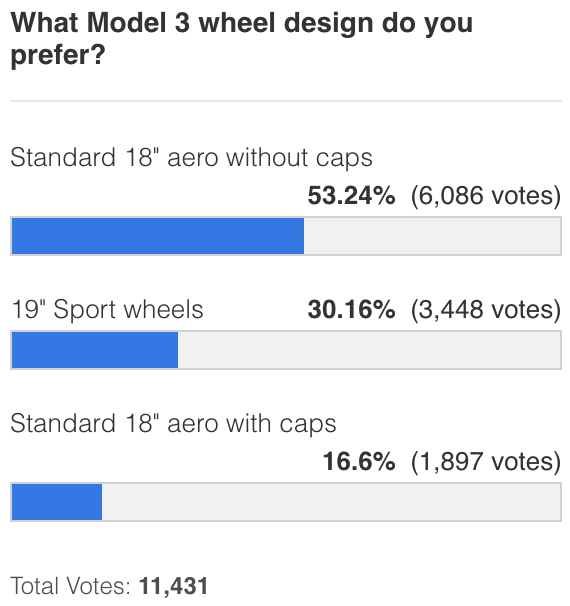 Last month, we saw Tesla Model 3’s standard 18″ aero wheels without their caps for the first time and it quickly became the best-looking option for most of our readers, according to our poll. The Model 3 with standard wheels are not actually intended to be driven without the aero caps, but we now see just how easy it is to swap them out. Of course, it’s a tradeoff: aesthetics over aerodynamics. The Model 3 wheels with aero caps on can increase efficiency by as much as ~10%, according to Tesla’s VP of Engineering. That directly translates into more range. But with the Model 3’s range having a capacity of up 310 miles of range, even by losing ~10%, it’s still more than enough for daily commuting and therefore, some owners will easily make the tradeoff if they prefer the wheels without caps. But again, the wheels weren’t exactly designed to be used without the caps, but they are removable to access the lugs and brake pads. The question remains “how easily removable are they?” if owners want to be taking them on and off depending on their needs. For example, keeping them off when daily commuting and adding them for a road trip. Well as it turns out, it takes only a few seconds. Since Tesla’s Model 3 deliveries are still only for employees and insiders, we haven’t had a lot of details from early ownership experience, but the vehicles are starting to make their ways into more hands. As we previously reported, out of the now close to one hundred Model 3 vehicles that we have seen so far, most of them had the $1,500 19″ Sport wheel option. Only a few people, like Tesla’s VP of Engineering, Doug Field, went with the 18″ aero wheels on their Model 3. With the option to easily remove the caps and as less expensive versions of the Model 3 hit the market, we expect the standard wheels to become more popular.